You can thank irrigation for the importance of backspin in the game of golf. Golfers today take sprinkler heads and automatic irrigation for granted, but sprinkler systems on golf courses did not become prevalent until the last thirty years. Before that, golf courses were hard and fast with greens watered by hand. Golf was played along the ground, and approach shots were run onto many greens. With irrigation, golf courses became lush with greens designed to be approached with high shots that must “bite” to hold the putting surface. Greens became constantly watered, allowing the grass to be cut low and firm, making them less receptive to the ball which is why players can benefit from backspin. Backspin results from a pure strike of the golf ball with no grass or dirt interfering with the contact. There are various techniques a golfer can use to put backspin on a golf ball. A common method is by setting up with the weight on the left side to begin the swing with hands ahead of the ball to promote a downward strike. Backspin will only be created when the ball is struck before the ground with a divot taken after the ball is launched. Clipping the follow through will also help generate backspin. The faster the clubhead speed the more backspin is produced, which is why professionals can execute approach shots that draw back on the green like a yo-yo. For instance, with a 6-iron, the average golfer with a swing speed of 80 miles per hour (mph) will generate a spin rate of 5,956 revolutions per minute (rpm). An average touring professional will generate 6,231 rpm. The higher the spin rate, the more control over the flight of the golf ball is achieved. The golf ball spin rates increase most when you get close to the green. With a pitching wedge, the average golfer will experience a golf ball spin rate of 8,408 rpm. Knowing how to control the spinning of the golf ball with 50-yard pitch shots can make or break a golfer’s round. Which Golf Balls Spin the Most? Golf ball manufacturers are here to help when it comes to spin. 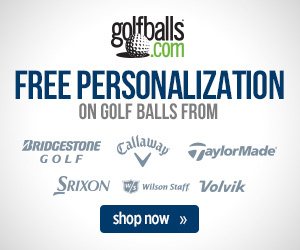 The best golf balls for spin tend to be models that can be seen on the PGA Tour like the Titleist Pro V1, Bridgestone TOUR B RX, Callaway Chrome Soft, TaylorMade TP5 and Srixon Z-Star. There are golf balls on the market designed to provide an extra 1000-1500 rpm for more control you can count on with short approach shots. In general, golf balls made with a urethane cover are the best balls for spin around the green. In today’s market, urethane covers are not only reserved for high-end pro-style balls. Spin is not always a desirable trait in a golf ball. While backspin encourages control, side spin exacerbates errors to the left and right with a golf shot. No spin golf balls are for players looking for extra distance. Surlyn-covered balls with no spin or reduced spin will deliver more distance off the tee but can be more troublesome in the short game. 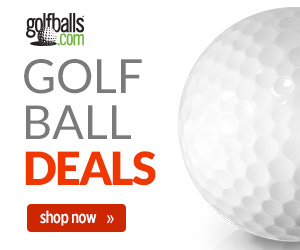 Expect these balls to generate considerably more roll out on chip shots and even putts than softer-cover balls. Try it for yourself on the putting green – different balls will roll several feet less on a long putt with the same stroke. Backspin is imparted even on little chip shots. If you find yourself struggling with leaving chips short, you may benefit from a ball that rolls out further with less spin. Experiment to find what ball works best for you with scoring clubs. Although a relatively new addition to the sport of golf, backspin has become an essential part of the game. If you want to maximize your performance on green, consider putting additional thought into your technique and gear that effects golf ball backspin. Next story What is MOI and Forgiveness in Golf Clubs?